How Can I Prolong the Lifespan of My Roof? You are here: Blog Home | How Can I Prolong the Lifespan of My Roof? When it is in good working condition, the roof is part of a building that property owners tend to forget about. As soon as some part of a roof fails for whatever reason, it will quickly become a major headache for the property owner. The trick to prolonging the lifespan of a roof is vigilance and regular maintenance – fixing minor problems before they have a chance to escalate. Water is the enemy of the roof. If water is not properly channelled away from the roof, it can penetrate and cause big problems. Once damp and rot set into the timbers of a roof, the whole structure’s integrity can be put at risk. The purpose of guttering is to transport water safely away from the roof. If gutters are blocked, they cannot perform their purpose properly. Keeping gutters clear is probably the most basic and most useful task a property owner can undertake. Clearing the gutters provides a good opportunity to make a visual inspection of the roof and roofline. 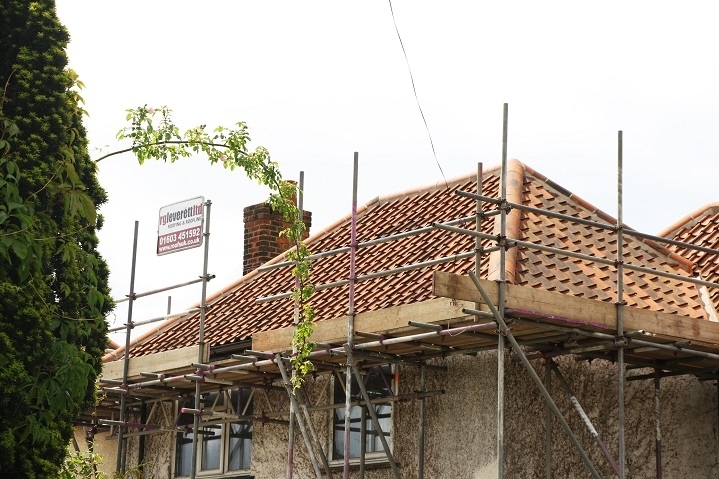 If you spot anything that might be problematic – missing tiles, broken gutters or a rotten fascia – give us a call. As reputable contractors, when you contact us to fix a particular problem, we will always start by making a full survey of your roof to assess its current condition. We will take photographs to show you areas of your roof that can’t be seen without climbing up there. We will give you a full quote for all the work that we think needs to be undertaken. Some roofs are more complex than others. The roofs of large buildings are often composite – with some parts pitched and tiled and others flat. The different parts of the roof may have been installed at different times and be experiencing different problems as they age. At our initial survey, we will identify parts of a composite roof that need immediate attention and may recommend annual inspections to keep an eye on other parts. If you have any concerns about your roof and would like us to take a look, give us a call on 01603 418818 or email enquiries@roofsuk.co.uk.